MX Player is undoubtedly the best and even most loved video player app for Android platform. It has been downloaded by more than 100 Million times from Google Play Store. It supports all kinds of video format like Mp4, MKV, VOB, AVI, 3GP, Webm, Flv etc. When it comes to playing videos in your Android phone, the first name comes in your mind is MX Player. I have used many video players but MX player is my favorite of all. I have looked on many video player these years, but MX Player definitely stand out of the crowd. I am very sure there are may things about this player that you haven't use like hiding a folder, adding subtitles, changing styles and themes and playing video on background. Scroll through the tips on this post and learn how you can use this player to its full potential. 10 interesting facts about google you should be know. When you click and hold a video to highlight it, you will be provided with different options to use. highlight multiple video and click play, the play would only play those videos highlighted. (Trick) How to Play Welcome Message After Login To Windows. If you want to hide any specific folder so, select the folder then click on options then click on“Hide”. To unhide the folder just go to settings Lists>click on folders>then select the folder that you have hidden and click on“Remove”. But it would only be hidden in MX Player and not on your device. How To Protect Your Google Account From Hackers. It's really annoying when you leave the MX Player app window and suddenly video stop working. 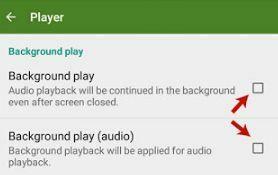 Now you can enable background playback option which let you play just the audio part of video, even when the app is closed or when you're doing some other things. Follow these simple steps to enable it -Open the MX Player app and go to"Menu > Settings > Player". Now scroll down and check mark the button next to the "Background play" option. You can also select audio playback individually. Now whenever you'll play the audio or video in background. You must be aware that MX Player supports subtitles if it’s already available in your device. Go to Settings > Subtitles > Synchronize. Adjust the timing by using the panel on the bottom right. You can also adjust the height of subtitles. To do so, tap and hold on a subtitle while it’s playing for a second. Now slide your finger up or down to adjust the height of it. You can play YouTube Videos in MX player. First of all, open the actual YouTube app and load the video that you want to watch. As the video loads, click on share button then select the option of “Copy URL”. Now open the video player then go to options and then go to“Network Stream”. Paste the link in the bat and that’s it you’re done. Enjoy the video. If the video does not get played just retry these steps. You can use MX Player as Music Player. Open and play the desired video then pause the video and click and hold on the play button for about 5 seconds. Now you can minimize the video or turn off the light and enjoy the music and it even won’t eat your battery. Basically, MX Player is a video player app only and it can't be used to play audio files. Imagine how it would be to use it as an audio player as well. Sounds good? Yeah, that's possible. 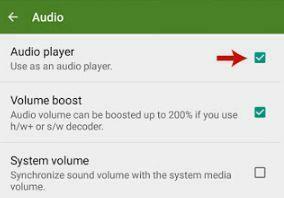 Here's a step-by-step guide to enable this feature -Again open MX Player and go to"Settings > Audio". Now tick mark the button next to the "Audio Player" option and that's it.Finally go back to the home screen and tap refresh icon to load new changes. MX will automatically scan the Internal memory and SD card to add all audio files. The default theme of MX Player is blue which is very good. But after a long use, it looks boring to see the same color each time. Fortunately, you can change the theme color as per your own choice.To change it, go to "Menu > Settings> List". Now under appearance section, click the "Theme" option. Here select the color you would like to apply (there are 13 choice available) and make sure to tick mark "Customize notification bar" button. Very Nice This Post And Great Article And Very Helpfull For Me I say Thank You This Post.